“It started in my teenage years,” Williams tells Bustle, “when I was at boarding school,” she says of the attention she receives. Williams says she’s approached by Beyoncé’s fans quite frequently. 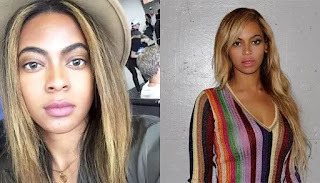 She admits that not all encounters with Bey Hive members are pleasant. Williams recalls one incident with a group of aggressive fans singing “Single Ladies,” who followed her and some friends to her car and beat on it until she gave them a photo. So, how do fans react when they realize Williams isn’t the real deal? Even though she could make a mint as a Beyoncé impersonator, Williams isn’t seeking to come up in that way. On any given day, she prefers to keep her style pretty low-key. The post Woman Looks So Much Like Beyoncé That Fans Chase Her For Selfies [LOOK] appeared first on The Trent.